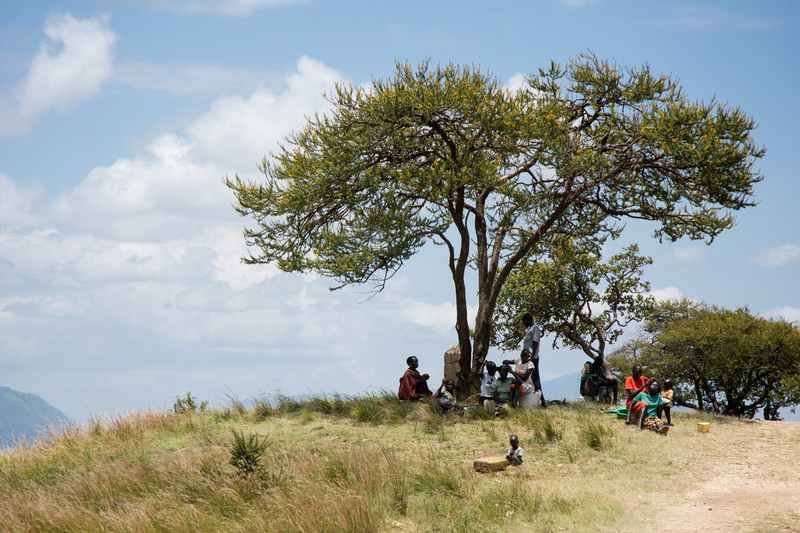 Location and Background: The Ik (called “Teuso” by their neighbors) are a small farming and hunting community squeezed between the large, powerful Karamojong and Turkana pastoralist tribes. The Ik have struggled to survive in harsh ecological conditions—droughts and floods. They continue to fight against isolation and marginalization to overcome their difficult circumstances and enter Ugandan national life as a people with their own culture and voice. 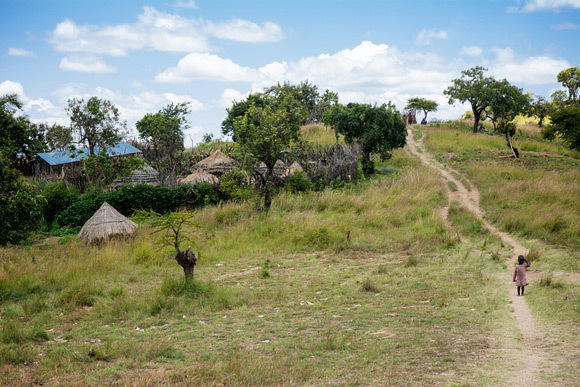 History: The Ik migrated to the area over 200 years ago from Ethiopia and settled in the highlands of Timu. There has been an escalation of raids in the last decade by marauding bands of Turkana. The Ik have also been displaced from their land to create a national park, and consequently have suffered from famine. Their small numbers make them very vulnerable. Culture: The clans are led by the “J’akama Awae”, an inherited position. 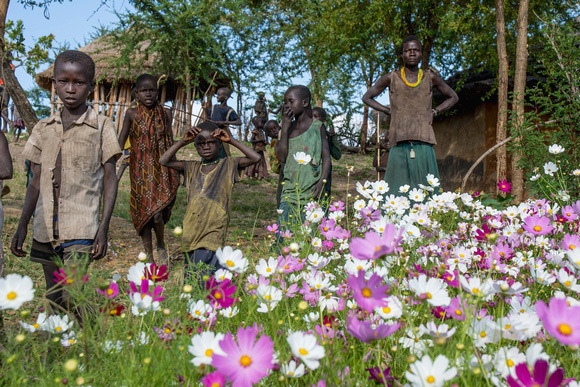 The people live in small village clusters and are subsistence farmers, growing tobacco, maize, sorghum, millet and other vegetables, as well as keep bees and hunt. 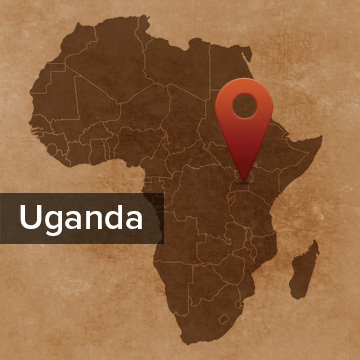 They decry the abandonment of the Ugandan government in helping to educate their children. As an agricultural community they are surrounded by pastoralists, and therefore suffer from threats which push them further and further up into the hills. They keep to themselves and do not mix with other ethnic groups. The most important annual event each December is the“itowe-es” (“blessing of the seed ceremony”) which marks the beginning of the agricultural year. There is another ceremony which marks the “opening of the harvest”. Religion: The Ik legend of origin tells how God created the herder, letting cattle down from heaven by a rope and giving the cattle together with spears to one group of people. To the other group (the Ik) he gave only the digging stick with the order never to kill. They are very proud of their culture and are traditionally a peace-loving people. It’s only in recent years that they have acquired modern firearms for hunting and protection against raiders. The translation of the Jesus Film into the local language of Icetod is nearing completion. Please pray that this project can be completed soon and translated in a way that the Ik can fully understand the gospel. Pray that in the future, as the Ik watch this video, that they will desire to turn from their sin and turn to the Lord Jesus Christ who loves them so much. The Ik are seriously concerned about their gardens this year. Due to rodents, army worms, and heavy, early rains, the Ik are planning for a small harvest, if at all. Please pray earnestly, that God provides for the Ik in a very real and practical way, through a bountiful harvest with enough food for the coming year. Pray that they can see God as always good, despite their circumstances or whatever happens.